The Phoenix City Junior Championship teed off July 6-7 at Aguila Golf Course with a field of 134 junior golfers – boys and girls – ages 8-18 competing in five age groups. In the Boys Championship Division, Nick Hedman of Chandler turned in a 4-under-par, 69-71—140 performance to win by two strokes over Damon Vilkauskas of Mesa (70-72—142). Goodyear’s Aaron Ramos (74-71—145) tied for third place with Nate Benjamin (72-73—145) of Tucson at 1-over par, five strokes off the pace. 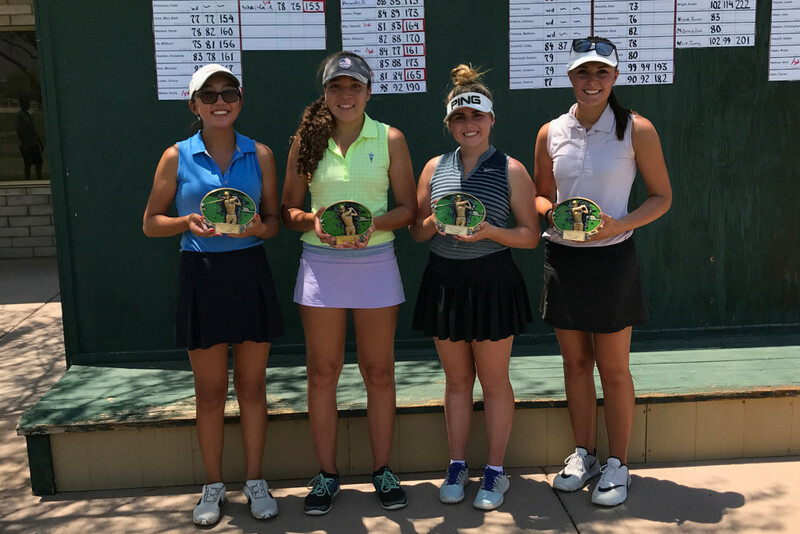 The Phoenix City Junior Championship also served as a qualifying event for the upcoming Trusted Choice Big I Championship to be held at Annandale Golf Club, Madison, Mississippi August 7-10. 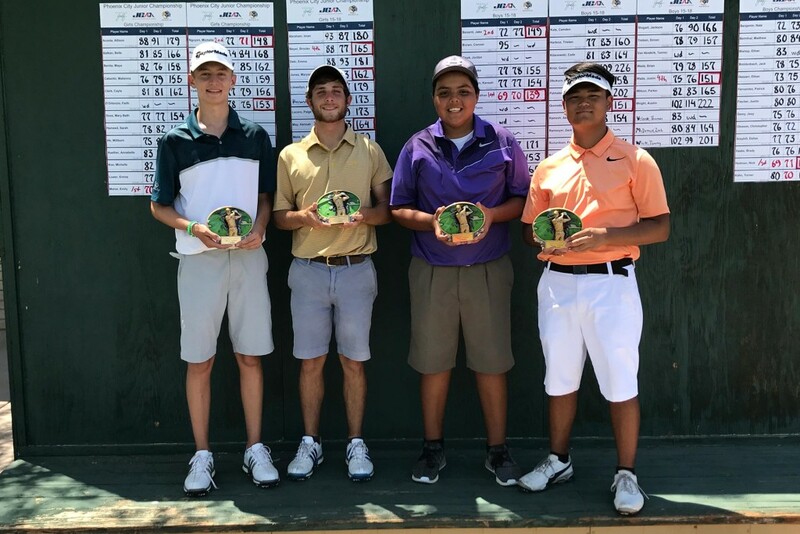 With their strong performances, Hedman, Vilksauskas, Curran and Nguyen made the cut to compete in this storied tournament – the third oldest junior golf event in the United States – which has served as a national championship challenge for our nation’s most accomplished junior golfers since 1969. Curran of Scottsdale won the Boys 15-18 Division at 5-under par (69-70—139). 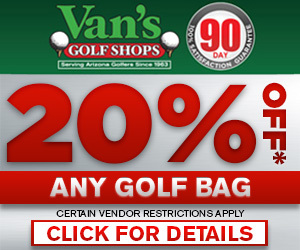 Davis Johnson of Scottsdale won in the Boys 13-14 Division 76-72—148 (4-over par). Camden Braidech of Scottsdale took top honors in the Boys 11-12 Division at 1-under par (34-37—71), and Brennan Korn from Phoenix won the Boys 10 and Under Division at 5-over par (37-40—77). Mika Miyata of Chandler won in the Girls 15-18 Division at 17-over par (84-77—161). 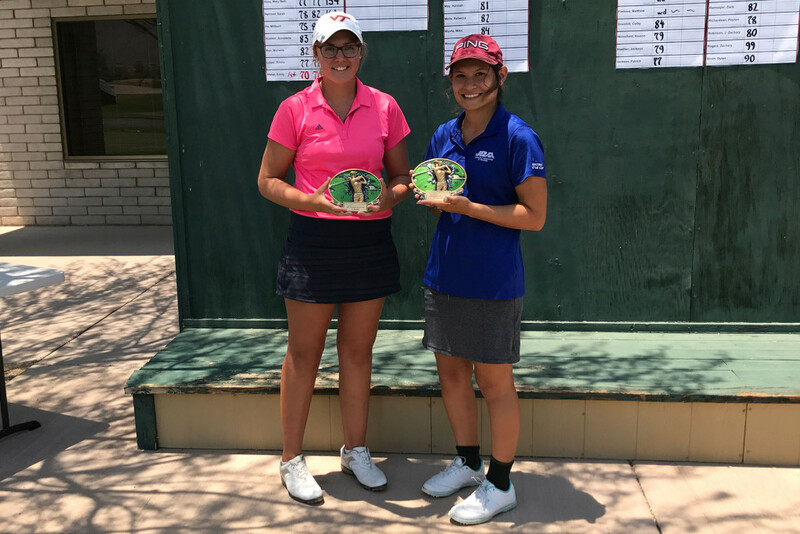 Madeline Adam of Chandler won the Girls 13-14 Division at 7-over par (77-74—151), and Brooke McGlasson of Peoria won the Girls 11-12 Division at 11-over par (43-40—83).